I wake up and I don’t have that same excitement as I’m used to. I’m not sure what hurts more. Is it the quite literal pain in my arse? Or the fact that my ambitious marathon dreams have coming crashing down? Or perhaps it’s the feeling of loss? The loss of my truest passion. Running means the world to me. Ever since it saved me from deep anxiety and showed me how I could build a stronger mental and physical person. For over four years now I have made running a constant in my life. 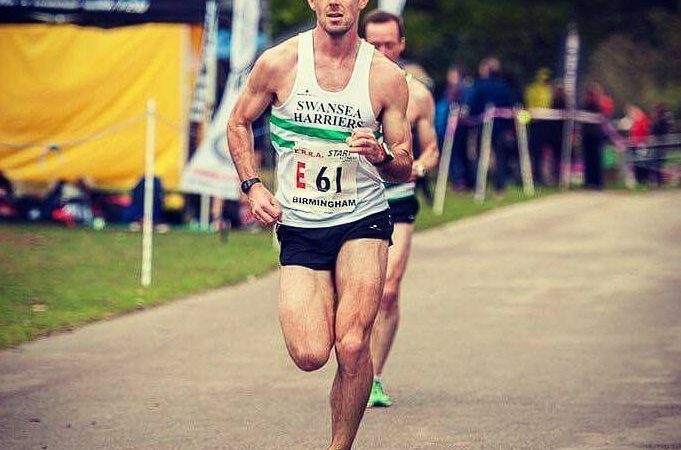 Most days I’m out clocking easy miles along the promenade, or sprinting up hills, or exploring the Welsh mountains, or even churning out time on the treadmill. It doesn’t matter what form of running it is. It doesn’t matter what pace. It doesn’t matter if I am alone or with friends. I just do it. I just run. Firstly, for my mental health. Secondly, for my physical health. Thirdly, because I dream big. These big dreams scare me. I set huge goals but also invest hard work in making them a possibility. December was a huge month for me. The biggest ever. In the midst of my training for a sub 2 hours 25 minutes marathon I racked up over 415 miles. That’s 667 kilometres and over 56 hours of running. I started 2019 feeling incredible. The fittest I’ve ever been. My easy runs felt almost effortless and I have been holding back to make sure I don’t push too hard. Yes, my legs feel tired the day after sessions but I have been astonished with how well they seemed to have been recovering. When things feel like this it is difficult to not get excited. Very much like the early stages of a marathon you need to keep things in check. It’s great that you feel good. That doesn’t mean you should push harder though. Trust the process. Tick the boxes. I’ll bring you back to the now. The now, is a deep dark hole of despair. So much for the process. Okay, I’m being dramatic but bear with me. It’s 10 days since I pulled up in pain on a long run. Since I felt a pain in my glute, or is it my hip? Actually, it just feels like that whole region. Since then I’ve spent countless hours stretching, massaging, and worrying. I have seen three very knowledgeable and helpful sports therapists. Each of them were great. They eased my worries and instilled belief. However, none of them were able to say definitively what the issue was being caused by. Each time the pain would resurface despite the fact that my activity levels were down to rest and stretching. The symptoms were clear but where was the smoking gun? As many an injured runner will tell you, not knowing what the problem is can drive you crazy. If you know the issue, you can make a plan. You can address it. You can work towards your goals albeit in a different manner. When you don’t know what is causing you pain, your head gets overwhelmed. Should I stretch? Am I making it worse? Should I cross-train? When will I be back? Can I still race in a few weeks? You start to doubt everything. Well I still don’t know the issue but what I do know is that I’m not going to play the victim any longer. I am taking action. I am taking control. What does this mean? It means that I am going to start seeing the positives of this injury, of which there are many. In this marathon block I have got myself into the best aerobic shape I have ever been in. What I haven’t done is make sure that my body can withstand the extra stresses of this new improved engine and the training that was required to get me into this shape. I am running more. I am running faster. But I have failed to ensure that my strength and mobility have kept up. Well this injury can be the first step in ensuring my future longevity and success in the sport of running. I can now go back to basics. Focus on building a strong and mobile body ready to withstand the training. Your body is great at reminding you of what it wants. I am excited to grow as a runner. To become a better athlete. I have an opportunity borne out of adversity. The opportunity to come back stronger than ever before. To address my weaknesses and reach new heights when I do return. I’d love you to follow along as I document my journey back to running and towards the marathon goal in the future. It may take me longer to get to my goal but it doesn’t make my goal any less worthy of my effort and time. I have always found that you learn more from your lows than you do from your highs. So allow me to share mine. You can’t fail if you never stop trying. If there is anything you would like me to document in my journey back to running please leave a comment and I’ll do my best to include it in future blogs. Also if you wish to follow along you can subscribe to new blogs on my website by adding your email and clicking subscribe. Thank you for your support. So pleased that you seem to have mentally overcome your injury, just the physical part now. You’re on the right track! I could have written the first part of this post Matt so totally empathise with your words. Only difference with me is that it’s on both sides (as if in side wasn’t enough). This however is your post not mine, so without boring you to death, ironically today my physio has actually diagnosed bilateral upper hamstring tendinopathy which I’ve had silently developing for over a year and a half ! The actual ‘injury’ itself though properly kicked in August last year and has been the Bain of my life since. Strangely enough I still feel positive even after all this time. I know that one day I will comeback stronger – as you will too, and even better still you’ve got age in your side. I don’t feel it but I’m 51 and so it’s a much longer process for me. It looks like I definitely have to pull out of Limassol marathon and the Big Half both in March and I’m ok with that. I am loving this Blog! I broke my ankle at the end of October and I am just starting to be able to run for 5 minutes at a time, it has felt like the strangest few months. I have not known what to do with myself without being able to exercise to keep myself feeling sane and healthy. It has thrown my plans for an ultra in the summer out from what the medical people have said but it just gives me an extra year to train and prepare for my awesome adventure of the first ultra! I am sur euphoria will smash your goals. Hi Matt, I can totally relate to what you are going through. I am a relative novice at marathon running although been running shorter distance for many years. Ran London last year (first marathon) and missed my goal of sub 3 (3.12), probably due to the heat and an awful race strategy, though got to learn some how! 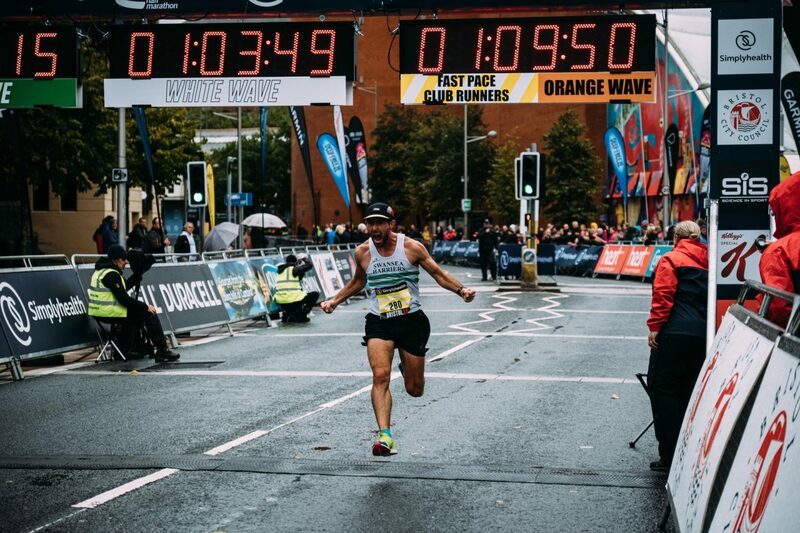 I began training for Dublin marathon with the help of Gary O’Hanlon giving me a training plan each month. I was running more miles per week, feeling fit and strong, smashed my half marathon pb by 4.5 minutes (1.15.40). I was coming into the last 4 weeks before the big day and went out for a short recovery run to feel a pain on the outside of my knee. Hoped a few days rest would sort it out? Went back to my physio praying she could get me back on the road. 2 weeks went by and I decided I wasn’t going to run Dublin. I was so pissed off, all that hard work for nothing. Dublin race day was perfect conditions, I could have ran so well. But when you have a family with two young boys you can’t be grumpy for too long. I have had numerous physio appointments, an MRI all pointing to ITB syndrome and patellofemoral syndrome. Recovery has been slow, very slow but I have been doing my strength exercises daily and hoping over time I can get back on the road. I have learnt you need to learn from these injuries and always incorporate strength work into your marathon training. I really hope you get back running asap Matt, I have been following your progress on Instagram and Strava and to be honest has made me very jealous seeing you running so well and loving the training. I hope this set back will make you stronger in the long run. Good luck!